Understanding the role of culture in development is important. My first jobs exposed me to people who saw the world differently than I. The more I learned about why they held their beliefs, the more I understood. Today, I ask my [teacher education] students to think about their own cultures and life experiences as the first step in understanding and relating to the children and families they will encounter in the field. My mother, who had less than two years of formal education, once asked me what I do for a living. I told her I try to incorporate a rich diversity of experiences for kids into educational settings. She said, “Why that’s just common sense! They pay you for that?” Common sense, and still it’s an uncommon practice among many. We must acknowledge the broader diversity in and of the African American experience and celebrate that all Black children are born geniuses. Black students continue to pursue educational excellence despite the many unnecessary obstacles they face due to constructions and perceptions of race, class, gender, and sexual orientations in America. Early childhood education is an increasingly important aspect of American life, predicting not only later school outcomes but also career and work options, economic stability, health, and social opportunities (Sanders-Phillips et al. 2009). School performance constrains the future opportunities of many African Americans. When matched for social class, the gap in educational achievement between African Americans and other groups is substantial. African American children, on average, score lower on tests and are given lower grades than Asian, White, and Latino students. In adolescence, many of them fail courses and drop out of school. Others progress through school but do not excel; they are less often enrolled in honors courses in high school or accepted into competitive four-year colleges (Stanford CEPA, n.d.; Valant & Newark 2017). The achievement gap is a problem not only for African American students and their families and communities; it affects the well-being of the entire country. Researchers have found that “the persistence of the educational achievement gap imposes on the United States the economic equivalent of a permanent national recession” (McKinsey & Company 2009, 6). Past and present economic and social conditions are at the root of the achievement gap. Societal efforts to overcome the ill effects of prejudice and discrimination for African Americans have not been effective enough; there continue to be inequities in almost every aspect of life, including education (Matthew, Rodrigue, & Reeves 2016; W.K. Kellogg Foundation 2014). At the same time, scientific and technological changes have raised the educational requirements for successful and fulfilling careers, placing an even greater burden on underserved communities and schools. And because social science research has focused primarily on group deficits rather than factors that have stymied progress, it has provided few clues as to how to construct support systems, even where there is a genuine wish to do so. Only by understanding these factors can teachers develop and implement the strategies needed to move from school failure to school success, increasing opportunities for life success for many more students. Although this article focuses on African American learners, children from other communities of color are often victims of racism and poverty too. Each group has its own unique history with and strategies for coping with oppression, yet they share many of the same challenges and defenses. By understanding the differences and the similarities among groups, teachers can learn the strengths of children and families when designing programs to address their educational and developmental needs. Societal efforts to overcome the ill effects of prejudice and discrimination for African Americans have not been effective enough. This article outlines some of the factors that contribute to the achievement gap between African Americans and White Americans and ends with recommendations for educators, administrators, and policy makers to help equalize educational opportunities. Like all children, African American children are born with the ability to learn, but require experiences to bring their potential to fruition. Capabilities develop through interactions with people and things that shape the brain circuitry controlling children’s physical, social, emotional, and cognitive development. Some aspects of development—like learning language, being sociable, using symbols, and making categories—are propelled by inborn drives to learn. Most children master these tasks at about the same ages and in similar ways. Other learning is culture specific, such as learning a particular language, creating unique ways to categorize the environment, and interpreting the meanings of events. 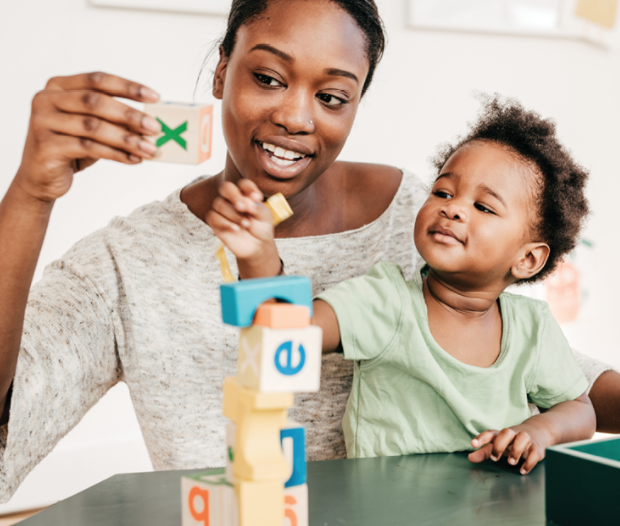 For example, the vast majority of young children learn language (an inborn drive), but whether they learn Black English or Standard English depends on their experiences in their language communities. So, a child’s language acquisition reflects individual and human biological potential, but also it reflects the linguistic characteristics of a particular cultural community. Children’s experiences in the social world of family and community play a critical role in what and how well children learn in school. The importance of warm interpersonal relationships cannot be overstated. Adults are needed to provide consistent physical care, social guidance, intellectual stimulation, and emotional support. Children attach to meaningful caregivers and depend on them for physical and emotional security. They identify with, imitate, and begin to internalize their caregivers’ attitudes, values, ways of expressing themselves, and approaches to solving problems; this sets the stage for social, emotional, physical, and cognitive characteristics that in turn affect everything from moral and ethical behavior to manipulative skills and executive functioning. Children who begin life in safe relationships that are continuously responsive to their evolving needs are most likely to reach out, explore, and learn. This is particularly important for children who live in challenging environments. Further, the most successful learners are born into families that have access to a baseline of resources, including physical security, health care, adequate nutrition, attentive caregiving, and opportunities to learn. Most African American children have positive adult relationships and achieve their basic developmental potential. That is, at the appropriate ages, they master the complexities of language, process sensory information, manage their bodies, and even use symbols (such as a wooden block to represent a piece of toast). However, some do not have a learning environment that includes opportunities to develop school-related language, knowledge, and skills (such as literacy in Standard English, mathematics, or science). Others, given continued racial exclusion, do not think the work of education will pay off for them. And some are growing up in circumstances that are too stressful for healthy development. These students do not get the extra doses of emotional stability and guidance needed to face the adversity they are exposed to, including adapting to the demands of school. The interface between racism/classism and attendant economic and social disadvantages is the key to understanding the underachievement of African American children. African Americans have been exposed to generations of legal and illegal measures to deny them basic rights. From slavery to Jim Crow and to today’s housing, health care, and voting inequities, the African American community has endured unrelenting racism that begins at an early age (Gilliam 2014; Gershenson & Dee 2017). To believe that these insults have not left a cultural residue—for Whites as well as for African Americans—is to deny what we know about power relationships. As parents adapt to different challenges, they develop different child-rearing strategies, many of which are misunderstood. Without question, poverty places a burden on families, and a large number of African Americans live at an economic level that stresses families physically and mentally, with hunger, mental and physical illness, and despair being frequent corollaries (Matthew, Rodrigue, & Reeves 2016). Poverty among African Americans exceeds that of any other group (USDA 2017). While poverty has declined for White, Hispanic, and Asian families in recent years, it has not for African Americans. In 2015, some 38 percent of Black children lived below the poverty line—a percentage four times greater than that of White or Asian children (Alter 2017). Families struggling to make ends meet are more likely to be stressed and to have less time for their children than those from more economically advantaged groups. In addition, children from poor and also less-poor African American families tend to reside in segregated, underserved neighborhoods, thus concentrating and reinforcing poverty’s effects (W.K. Kellogg Foundation 2014). As a consequence, generations of families and communities have been unable to provide the basic material resources their children require or protect children from the social and emotional stress of racism, poverty, and under-resourced environments. (See “Living with Toxic Stress.”) Poverty drains the social and emotional energy of families, making it difficult for adults to respond with constructive guidance to typical childhood behavior, such as aggressiveness or impulsivity. Some families and communities have adapted to the harsh realities they face with aggression. And some children have learned to deal with problems by fighting rather than negotiating or working things out—behavior considered unacceptable in school, especially when teachers and administrators do not understand the roots of the behavior and do not help the children learn new behaviors in a warm, caring, culturally competent way. Exposure to extremes of violence and neglect, inconsistent and unreliable care, and unloving adults can be so stressful for children that their developmental potential is compromised or distorted. The results of such exposure can range from stunted emotional and intellectual development to death. The longer children live in a toxic environment, the more difficult and expensive it is to help them return to more typical developmental and learning trajectories (Shonkoff et al. 2012). Too many African American children live in toxic environments. Given this, it is a testament to African American families that despite the challenges they face, so many find the resources to help their children avoid the more serious developmental and learning problems. However, early recognition of and support for children being affected by a toxic environment is essential if children are to avoid the pitfalls of failed development and a compromised future; exposure to severe neglect and abuse is increasingly difficult to treat. Timely family counseling and treatment, supportive alternative caregivers (often a grandparent or sitter), understanding teachers, supportive friends and neighbors, and/or therapeutic intervention can play a role in reducing stress and stabilizing children’s development. Culture is what groups create over time to adapt to their environment; it determines to a large extent how adults interact with children. Throughout the world, as parents adapt to different environmental challenges, they develop different child-rearing strategies, many of which are misunderstood by those unfamiliar with a community’s history. For instance, as a result of transatlantic enslavement, Black people mixed the remnants of their home languages with English to create a dialect, or patois, to communicate with one another (since they did not share a common language). The remnants continue today as Black English. The public impression, however, which has been used to justify abuse and injustice, is that this adaptive language, this dialect, is “bad” or broken English. Among those with limited knowledge of Black culture and linguistics, Black English is mistakenly assumed to be a product of ignorance rather than a creative form of verbal communication as complex as Standard English (Labov 1972). Other behaviors that were fashioned to help African Americans cope with the dangers of slavery continue today because life is still perceived as dangerous. For instance, African American children are often criticized for passivity, limited oral responsiveness, and disengagement (Labov 1972). Yet many Black parents teach this behavior as the best way for children to be safe in a hostile world. Rather than embracing new experiences outside the safety of family, children are encouraged to attenuate their responsiveness with others to avoid trouble (Labov 1972; Calarco 2014). Even though these strategies tend not to be advantageous in the school environment, they have lingered because they keep children emotionally safe in the segregated society in which most of them live. The systemic challenges of poverty and racism continue today for African American parents and children (W.K. Kellogg Foundation 2014), and families respond in different ways (Duncan, Brooks-Gunn, & Klebanov 1994). Some experience self-doubt and powerlessness, others deny their culture and language to avoid rejection, and still others respond with rage or detachment. While many of these responses may seem nonfunctional, they are designed to protect children from the prejudice and discrimination encountered by most African Americans with appalling frequency. Unaware of the culturally adaptive reasons for behavior, many people—even many African Americans—are unaware of the strengths that have enabled African American communities to survive and thrive despite deep hardships. Teachers who understand the history of slavery, the restrictions of segregation, and the continued injustices encountered by African Americans can better understand African American children’s behavior. In the past, tight-knit family networks and communities of teachers and leaders were better able to support children and buffer the negative messages children received from the larger society. Today, the lack of knowledge about and appreciation for Black culture creates social distance between African Americans and White Americans and is a deterrent to change. The African American culture transmitted from generation to generation needs to be understood as rich and noteworthy, and needs to be used as the entry to new skills and knowledge. By recognizing the meaning and value of children’s home knowledge, teachers can use home culture as a foundation from which to extend children’s thinking rather than considering it an impediment. While culture carries with it the past, it also constantly adapts to new conditions, new challenges. As people adapt, they integrate the old with the new, often using the old to help transition to the new. The traditional African American interest in music has led to innovations, such as jazz and rap, and to newer music forms; the traditional physicality in the African American community has led to high performance in athletics; the interest in language is reflected in the contributions Black people have made to the imaginative use of words (slang, for example). Many of the rules and concepts of school overlap with much of what children already know—but often children need teachers and school system leaders to help them see the overlap. For example, many Black children have strong interests in and knowledge about sports and entertainment. They need supportive teachers to help them see how academics are related to these interests and will enhance what they already know. The capabilities developed in homes and communities can be used as springboards for learning in school if teachers recognize children’s strengths (Adair 2015). Building on strengths, achievement can soar. Today, the lack of knowledge about and appreciation for Black culture creates social distance between African Americans and White Americans and is a deterrent to change. Exposure to poverty and prejudice are not uniform across the African American population; not all African Americans are poor or failing in school. Yet disproportionately their achievement and life circumstances are constrained by race and class. Almost every aspect of life at every income level is affected—housing, employment, health care, education, and social acceptance—all of which have long- and short-term implications for school achievement (Pager & Shepherd 2008; Reardon 2015). The systemic challenges of the Black experience continue today for parents and children (W.K. Kellogg Foundation 2014). Poverty and racism, past and present, compromise the ability of many poor and minority families—especially African American families—to provide the secure base young children need (Grusky, Varner, & Mattingly 2015). The ultimate solution to the education gap is the elimination of race and class prejudice and oppression. In the meantime, creating an ultra-supportive environment appears to be the best—perhaps the only—chance for children from challenging backgrounds to be successful in school and in life (Robert Wood Johnson Foundation 2016). This means providing supports for families and education for children, and promoting understanding among teachers and administrators. If most African American families typically provide the experiences necessary for healthy growth and development, why do so many African American children have trouble learning in school? One reason is the differing expectations for children between home and school. The skills and knowledge children gain at home and in their communities often do not match schools’ demands. Home cultures do not prevent African American children from learning in school, but some home practices are not similar to or synchronous with school culture. Returning to language, children who learn Black English at home, as opposed to learning Standard English, have a steeper learning curve for school reading and writing (because Standard English is very similar to academic English). For Black children, particularly those from low-income families in highly segregated communities, there is more likely to be a poor fit between their language experiences and what schools require. This misalignment becomes a barrier to school learning unless it is addressed early. 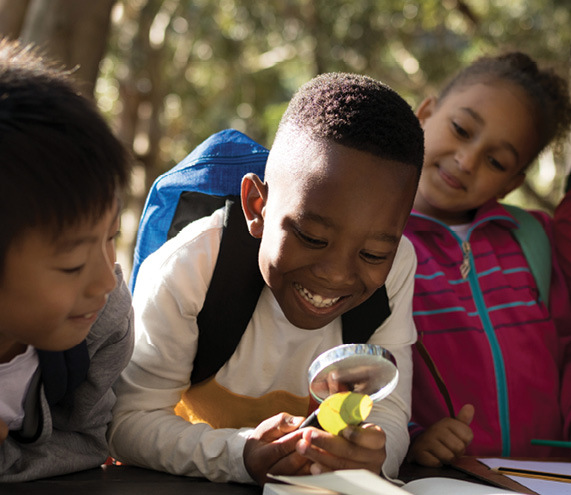 Like other children, African American children—even those from low-income families—have information about their immediate environment and learn through their experiences. However, they may not have the same knowledge base as children from other communities, particularly children from more economically advantaged ones. They may not have the academic and social knowledge that teachers expect. They know the names of things, ideas, people, and places that are meaningful to them, but they may not know letter names or how to hold a book or what a farm is or how to count to 20. Because of this, they are often viewed as developmentally delayed or having limited potential to learn. Thus, even though they have achieved developmental milestones, they may begin to fail in school. African American children who go to school without a sound foundation of school-type information are at a profound disadvantage, making the achievement gap inevitable at school entry—but not insurmountable. For example, children from lower income families hear fewer words and have smaller vocabularies, on average, than children from more financially advantaged families (Hart & Risley 1995). This disadvantages African American children, since a larger proportion of them are poorer than White children. While a smaller vocabulary may not be a linguistic problem (the children have a language, just not Standard English), it does mean a child is likely to have trouble with listening comprehension in the early grades, especially when teachers read aloud complex texts that use Standard and academic English vocabulary. What starts out as simply a disparity in vocabulary escalates over the elementary grades to difficulty with reading comprehension, on which all later learning depends. Struggling with reading may also become a social challenge, leading to misbehavior and a lack of motivation to try (often fueled by embarrassment at being behind one’s peers). Therefore, it is essential to address the vocabulary difference before it morphs into school failure. Another problem for many African American children is the lack of continuity between the preschool years and the primary grades (Takanishi 2016). Research and school experience have shown the importance of long-term consistency in expectations, high-quality instruction, and social supports if children from low-income homes are to master the challenges of school. In the first several years of their lives, many African American children remain at home or are in child care arrangements in which school prerequisites (e.g., formal literacy and numeracy experiences) and social and emotional support (e.g., responsive teachers) are not a part of daily life. For children who do not learn Standard English at home and are enduring the stresses of growing up in isolated and/or under-resourced communities, even attending preschool may not be enough. Children may require additional social and academic supports the first four or five years in school if they are to reach their potential. They need meaningful relationships with teachers who believe they can learn, whom they want to please. They need carefully structured curricula that build across grade levels so that children have the prior knowledge necessary to succeed. They also need teachers who coach them in how to get their needs met in school, how to ask for help, and how to accept it. And finally, they need teachers and administrators who communicate well with their families and can help the families be supportive of their children’s academic learning. Essential to narrowing the achievement gap is the education of early childhood educators. Teachers and administrators need preservice preparation and ongoing professional development that enable them to understand that most African American children are not underdeveloped or developmentally delayed. When teachers use effective engagement methods, African American children can achieve the same academic and social development in school as other children. Preparatory institutions and professional development programs must prepare educators to understand the manner in which child development and academic learning are inextricably linked and how they can facilitate learning for children from different backgrounds. Certainly some children have developmental issues that may require different teaching strategies because of biological differences (such as having Down syndrome) or because of life experiences (such as living with toxic stress) or both. They need teachers with special skills to recognize and meet their needs. Other children—the vast majority—are typically developing and need a genuine opportunity to learn the foundational skills and knowledge expected by schools. During the preschool years, children need to be assessed for biological and social difficulties, with interventions provided as needed. However, all children—whether they have special needs or not—need to be fully engaged so they become enthusiastic learners of their schools’ curricula. Teachers also need a better understanding of cultural differences and similarities. Too often, teachers and administrators view the different expressions of development in African Americans as evidence of intentionally bad and distasteful behavior and/or low academic potential. When African American children demonstrate adaptive behaviors (such as passivity or aggression) that have been successful in the past, teachers and administrators usually spend little time trying to understand the etiology of these behaviors or the systems that cause them. They simply label the children “special needs” or delinquent and exclude them from grade-level curricula. When teachers—often through little fault of their own—do not understand the reasons for children’s behavior, they are likely to lower their expectations for children of color. The children internalize their teachers’ evaluations of their potential, thus lowering their own (and often their parents’) expectations for achievement. Underfunded schools that provide little support or professional guidance for inexperienced teachers and administrators compound the problem. The capabilities developed in homes and communities can be used as springboards for learning in school if teachers recognize children’s strengths. In the past, informal networks of families and neighbors provided the supports many African American children and families needed. Today, because of increased pressures in homes and neighborhoods, formal organizations (social, educational, political, economic, philanthropic, and community) often must step in. To be more effective, these organizations must rethink how they deliver their services. Depersonalized, rule-governed relationships must give way to intentional connections and meaningful collaboration. The most effective way to bring about and sustain such relationships is through local action in which Black families are meaningfully engaged. Schools in particular play an important role in defusing racism, educating staff, providing social networks (activities), and welcoming parents. If the achievement gap is to be closed, schools need to continue their commitment to children from before birth into young adulthood, with regular updates to meet changing social needs. 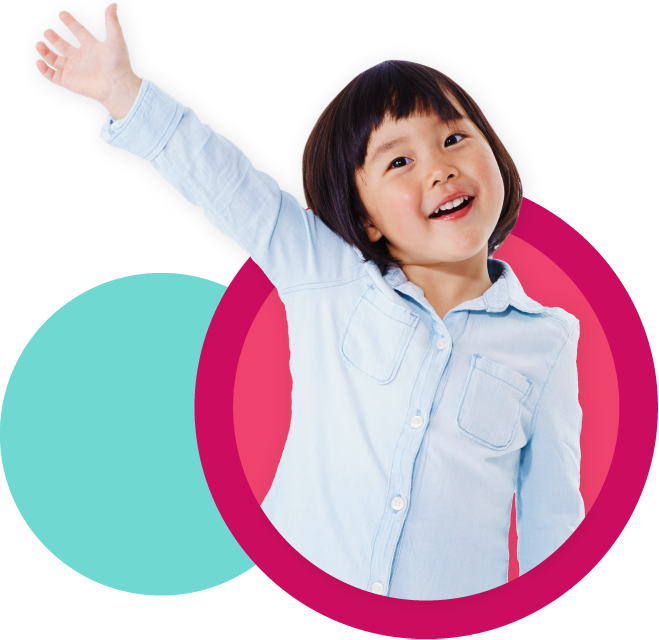 We believe that a program carried out by people and organizations with a deep understanding of the complexities and the collaborations needed to support child development, who recognize the importance of education—both what is taught and how it is taught—and who focus resources to support family functioning will help close the achievement gap, benefiting our children, families, economy, and democracy. Alter, C. 2015. “Black Children Still Most Likely to Live in Poverty, Study Says.” Time. http://time.com/3955671/black-children-poverty-study. Calarco, J.M. 2014. “Coached for the Classroom: Parents’ Cultural Transmission and Children’s Reproduction of Educational Inequalities.” American Sociological Review 79 (5): 1015–37. Duncan, G.J., J. Brooks-Gunn, & P.K. Klebanov. 1994. “Economic Deprivation and Early Childhood Development.” Child Development 65 (2): 296–318. Gilliam, W.S. 2014. 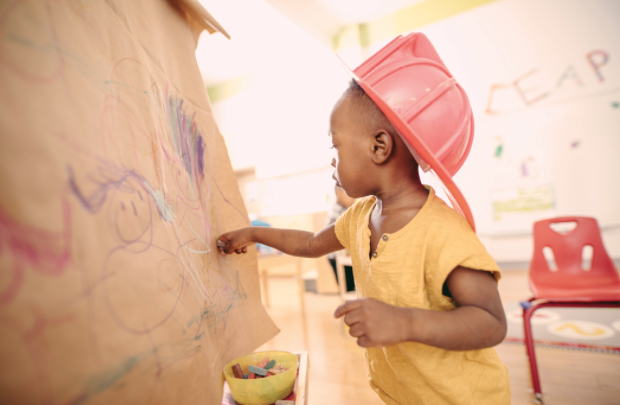 “What Could Make Less Sense than Expelling a Preschooler?” Psychology Benefits Society (blog). American Psychological Association. https://psychologybenefits.org/2014/12/13/preschool-expulsions. Grusky, D., C. Varner, & M. Mattingly, eds. 2015. “State of the States: The Poverty and Inequality Report.” Pathways: A Magazine on Poverty, Inequality, and Social Policy. Special issue. The Stanford Center on Poverty and Inequality. http://inequality.stanford.edu/sites/default/files/SOTU_2015.pdf. Hart, B., & T.R. Risley. 1995. Meaningful Differences in the Everyday Experience of Young American Children. Baltimore, MD: Brookes. Labov, W. 1972. Language in the Inner City: Studies in Black English Vernacular. Conduct and Communication series. Philadelphia: University of Pennsylvania Press. McKinsey & Company. 2009. The Economic Impact of the Achievement Gap in America’s Schools: Summary of Findings. http://dropoutprevention.org/wp-content/uploads/2015/07/ACHIEVEMENT_GAP_REPORT_20090512.pdf. Pager, D., & H. Shepherd. 2008. “The Sociology of Discrimination: Racial Discrimination in Employment, Housing, Credit, and Consumer Markets.” Annual Review of Sociology 34: 181–209. www.ncbi.nlm.nih.gov/pmc/articles/PMC2915460/. Reardon, S.F. 2015. “School Segregation and Racial Academic Achievement Gaps.” CEPA (Stanford Center for Education Policy Analysis) Working Paper No. 15-12. https://cepa.stanford.edu/sites/default/files/wp15-12v201510.pdf. Sanders-Phillips, K., B. Settles-Reaves, D. Walker, &, J. Brownlow. 2009. “Social Inequality and Racial Discrimination: Risk Factors for Health Disparities in Children of Color.” Pediatrics 124 (Supplement 3): S176–86. http://pediatrics.aappublications.org/content/124/Supplement_3/S176. Shonkoff, J.P., A.S. Garner, American Academy of Pediatrics (AAP) Committee on Psychosocial Aspects of Child and Family Health, AAP Committee on Early Childhood, Adoption, and Dependent Care, AAP Section on Developmental and Behavioral Pediatrics, B.S. Siegel, M.I. Dobbins, M.F. Earls, A.S. Garner, L. McGuinn, J. Pascoe, & D.L. Wood. 2012. “The Lifelong Effects of Early Childhood Adversity and Toxic Stress.” Technical report. Pediatrics 129 (1): e232–46. Takanishi, R. 2016. First Things First! Creating the New American Primary School. New York: Teachers College Press. Authors’ note: Portions of this article were adapted from “Early Learning: A Report for the White House Initiative on Educational Excellence for African Americans.” This unpublished report was developed in 2015 while David Johns was the executive director of the White House Initiative on Educational Excellence for African Americans during the Obama administration.